Shandong is the red one. Map by Uwe Dedering. Wikimedia. Things are looking up for President Xi Jinping. Arthur Groeber sums things up well in a challenge he recently gave China File readers: "Name one world leader with a better record." Mr. Groeber has a point. All those who predicted that the Hong Kong umbrella movement would prove an impossible crisis for President Xi have been proven wrong. The protestors are gone, but Xi is still around, signing energy deals with Russia, launching new international development banks, and even shaking Shnizo Abe's hand. He has restructured the Chinese Communist Party's most important policy bodies, and if the recently concluded 4th Plenum Communique is anything to judge by, more reforms are coming. One domestic rival and crooked official after another has fallen to his anti-corruption campaign, which having felled 200,000 "tigers and flies" is now tearing into the once unassailable PLA. To top things off, sometime this summer Xi Jinping's countrymen began calling him "Big Daddy Xi." The term is a compliment: President Xi is now the most popular leader on the planet. 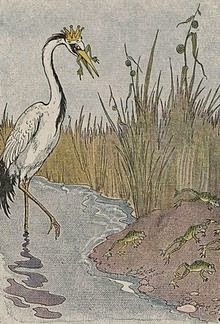 "The Frogs Who Desired a King"
Illustration by Milo Winter (1919). Wikimedia. For all of these reasons and more Xi Jinping is considered to be the most powerful leader China has seen since the days of Deng Xiaoping. Yet the real test of Xi Jinping's power isn't found on the foreign arena or in struggles to cleanse the party of graft. Grand standing on the international stage and stoking up nationalist feeling is not hard for any leader--especially in China. The attempt to centralize the Communist Party of China and purge the corrupt from its ranks is a much more impressive display, but in many ways this entire campaign is more a means than it is an end. What end? An obvious answer is that the good President pursues power for power's sake, as leaders the world over are wont to do. But there is more to it than this. This man did not attain his high position through will-power alone. He was selected to accomplish a job that needs doing. And while the frogs may regret crowning the stork to be their king, it is worth our while to ask why the frogs desired a king in the first place. In China's case the answer is fairly simple: If Beijing does not want to see its own Japan-style "lost decade" then economic reform is needed, and it is needed urgently. Xi Jinping has been trusted with the power to reshape Party because that is the kind of power that is needed to defeat the vested interests that stand in the way of economic liberalization. I won't get into a full discussion of why reform is so urgent here--if you are curious I strongly recommend Michael Pettis' September essay, "What Does a 'Good' Chinese Adjustment Look Like?" which lays out the essential points in detail. More important for our discussion is the pace and scale that these reforms take. The 2013 Third Plenum was devoted to this question; financial analysts have been abuzz ever since discussing how well the Plenum's directives are being implemented. Of particular concern are the financial happenings at the county, city, and provincial levels. It was infrastructure spending by these governments that rode China through the recession, and that effort has left many of these governments over leveraged and left others liable for a host of non-performing loans. Reforming this system is necessary. It is also difficult, for it means slaughtering the favorite cash cows of powerful men and forcing China's wealthy and connected to face the risk inherit in their poor investments instead of shifting losses to the state. 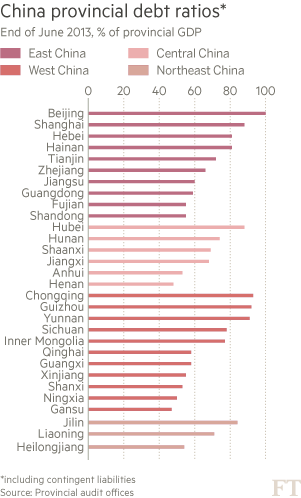 Two views of China's local debt, by province. Taken from Gabriel Wildau, "Half of Chinese Provinces deserve junk ratings, S&P warns,"
Any attempt to liberalize markets and end China's financial repression must start here. By extension, any attempt to assess the power Xi Jinping has over the Party must also start here. We will know that Xi Jinping has the level of control over his country that everyone says he does when local government finances see substantive reforms. 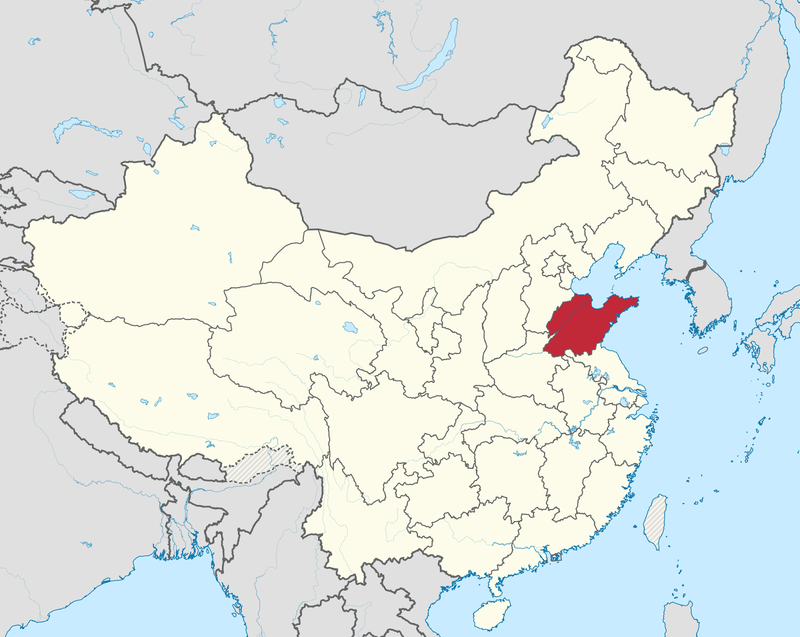 "China's Shandong Province First to Step Up Curbs on LGFV Debt"
Authorities in Shandong said they won’t bail out the borrowings of cities or counties in the region, becoming the first province in China to follow the central government’s campaign to curb regional debt. Shandong province, on the country’s east coast, banned all new debt raisings by local government financing vehicles, according to a statement dated Dec. 10 and posted on its website yesterday. Local governments should reasonably control financing demand for projects under construction, it said. I think I am on record saying we'd know Xi Jinping has real power if this happened http://t.co/mZTqTgqnjU Well, now it's happened. That was all I originally had planned for this post. It's original title was"Xi Jinping -- Its Time to Take Him Seriously." Over the last week, however, I have discovered a few facts that have tempered this initial judgement. Land sales as a percentage of local revenue. IMF Working Paper 14/4 (January 2014), 12. Beijing announced it would no longer bail out over-leveraged local governments in October. Shandong is the first--and so far the only--province to follow suit. Shandong is an interesting place. In historical terms Shandong is known as a cradle of Chinese culture and civilization--Confucius was born there and it was a hotbed of literary activity until medieval times. Today it is better known for its popping economy. It has a population of 90 million people who subsist at well above the national GDP per capita, the third largest total GDP of any Chinese provinces (second only to Jiangsu and Guangdong), and is the fourth largest exporter in the country. Its fiscal situation is fairly secure: while its total debt is one of the highest in the nation, its ratio of debt to provincial GDP is one of the nation's lowest. Another sign of the province's relative fiscal strength is that it relies less on land sales for revenue than most other seaboard provinces. It is also run by Guo Shuqing. Guo Shuqing is something of a rising star in the CPC. He became famous internationally when serving as the as the head of China's supervising agency for financial institutions, the China Bank Regulatory Commission. Mr. Guo's tenure at the CBRC was a time of rapid reform and frantic effort to bring the commission's practices up to international standards. So ambitious were these reforms that the Chinese media dubbed them "Guo's New Deal." He left the CBRC earlier this spring. As there is a strong expectation that those who ascend to the upper echelons of the Party will have already served both at the provincial level and for the central government, most folks interpret his current governorship in Shandong as a necessary stop on his rise to greater heights. The term ['New Deal'] took on an extra meaning soon after Guo headed for his new position in March in the northeastern province, where he continues his appetite for reform. According to the Shandong Financial Affairs Office, more than 30 officials from central government financial regulatory departments and central state-owned companies will be sent to Shandong for a temporary official exchange program. And each city in the province will appoint a deputy mayor to specially oversee financial affairs. Meanwhile, Shandong will select 34 officials to be trained in the central government's financial department under the exchange program. At this key time in the country's structural economic reform and industrial upgrade, the implementation of Guo's New Deal has great symbolic significance. It was not just Guo that was sent to Shandong. An entire hand picked team from the foreign ministry was sent with him. It looks all the world like an experiment the Party is conducting to see if this liberalization thing can work out if a province is given the muscle it needs to push things through. This makes the announcement that Shandong province will no longer bail out failing LGFV a bit less impressive. The first province to follow the Beijing's directive to limit loans and allow LGFVs to fail is the province run by one of Xi Jinping's favorite financial reformers with decades of experience pushing financial reforms through party organs, and who has stuffed the province he governs full of other reformers like him down to the city level. And all of this in one of the provinces least burdened with LGFV debt in the first place! Little wonder Shandong is the first province to run with new directives. I am not confident provinces with much larger debt problems or much lower growth numbers will adopt these measure with such energy. Watch Shandong. As this story suggests, Shandong is set up to be the testing laboratory for the fiscal and regulatory reforms the Party would like to implement throughout China. If reform cannot succeed there then there is little hope of it succeeding anywhere. Arthur Groeber, "Here is Xi's China: Get Used To It," China File (12 November 2014). The term "Xi Dada" (习大大) literally means "Xi Big-big," but is better understood as "Daddy Xi" or perhaps "Uncle Xi." I am afraid to say that I this use of Aesop's fable is not original. Unfortunately, I cannot remember which editorial or blog post it was that compared Xi Jinping to the stork and have been unable to solve matters through Google. If any of my readers happen to know the original source I would be glad to link to it here. Judy Chen and Penny Peng, "China's Shandong Province the First to Step up Curbs on LGFV Debt," Bloomberg (18 December 2014). The IMF has produced two reports on these vehicles that provide a valuable description of how they work and assess their impact on the Chinese economy. See Yuanyan Sophia Zhang and Steven Barret, “Fiscal Vulnerabilities and Risks from Local Government Finance in China,” IMF Working Paper 14/4 (January 2014). Yinqiu Liu and Tao Sun, "Local Government Financing Platforms: A Fortune or Misfortune? ", IMF Working Paper 13/243 (October 2013). I also found the section on LGFV debt in Yukon Huang's "China’s Debt Dilemma: Deleveraging While Generating Growth," Carnegie Endowment For International Peace (18 September 2014) to be very useful. Ralph Sueppel, "The Sysmetic Risk of Local Chinese Government Debt," Sysmetic Risk and Sysmetic Value (28 September 2013). Ibid. ; Tian Lin and Huo Kan, "Debt on Local Government Financing Platforms Forces Regulator Into Balancing Act," Caixin (6 March 2013). 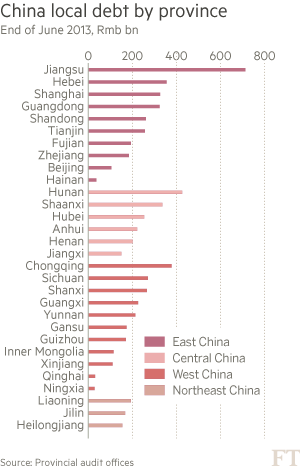 "China Won't Bail Out Debt-Laden Local Governments," Wall Street Journal (3 October 2014). Eliot Wilson, "LGFVs: China's $1.7 Trillion Hangover," Eurio-money (April 2012). This is a low estimate. The high estimates put LGFV debt at 3.3 trillion. Fu Jianli, "Guo Shuqing Gives Shandong "New Deal," Caixin (30 June 2014). ISIS, the Mongols, and "The Return of Ancient Challenges"
Joe Posner's "Isis Control in Iraq and Syria"
The ultimate problem with many of the historical metaphors in circulation today, therefore, is not simply their lack of nuance, but the way in which they discourage meaningful critical thought. The statement "Conflict X would be another Vietnam" should launch a wide ranging discussion about the parallels between the international context, domestic perceptions, campaign aims, and military tactics of Conflict X and the Vietnam War. This does not happen. In American political discourse the word Vietnam is not an invitation to reflect but a signal that discussion has ended and polemic has begun. This deliberate use of terror [by ISIS] is selective as was the case with Genghis Khan. He massacred the populations of the first cities of any region that he attacked, and the word got around that resistance was futile. The great Khan conquered many cities, but based on his reputation, he had to lay siege to very few. This observation is correct but I am not sure it is particularly insightful. When John Boyd credited Mongol victories to "subversive propaganda, clever stratagems, fast breaking maneuvers, and calculated terror [that] not only created vulnerabilities and weaknesses but also played upon moral factors that drain-away resolve, produce panic, and bring about collapse" in his famous presentation Patterns of Conflict, he was not describing what made the Mongol war machine unique, but was outlining principles that any can be used by any commander wise enough to use them on the field of battle . His commentary on the Mongols came midway through a review of strategic theory and practice that drew on everything from the troop formations used by Epaminodas 2,000 years ago to the battle plans of Yigael Yadin in Israel's wars with its Arab neighbors. In this review he explicitly places the Mongol campaigns in the same "category of warfare" as that practiced by Sunzi, Napolean Bonaparte, Stonewall Jackson, Ereich von Manstein, Ramon Magsaysay, and Vo Nguyen Giap  Boyd's description of the Mongol campaigns--whose language Anderson echoes quite closely (though perhaps not consciously)--is an attempt to distill the critical elements of all successful asymmetrical maneuver campaigns throughout human history. Acknowledging that ISIS pulled off a string of successful operations that fit into this category is recognizing that these elements were present--otherwise the operations would not have been successful. ISIS forces seemed "to be much larger than they were and to be everywhere at once" because that is what victorious maneuver armies do. I am unconvinced that explicit comparisons to the Mongol experience add any marginal value to this observation. American commanders talk a good game about Maneuver Warfare, but many take advantage of technology and secure communications to micromanage. It is not unusual for an American Colonel to be tracking squad sized units on his computer; worse still, it is not unusual to require American squad and platoon sized units to submit detailed patrol plans three days in advance so they can be plotted into computers. Baghdadi can simply say; “take this town and let me know when you have it”. It doesn’t make him a good guy, but he is a very effective military leader. Contrast this with Maliki and Karzai who will move or fire a commander who appears so competent or popular that he might become a competitor for power (emphasis added) . And here is where things get interesting. I don't think it is possible to isolate one, single variable that can account for the epochal success of the Mongol military machine. But if I was forced to try and boil down the secret of the Mongol Empire to a sentence or two it would sound a lot like the one Anderson has written here. In contrast to both the kingdoms the Mongols destroyed and every other nomadic confederation that preceded or followed his empire, Chinggis Khan possessed the complete loyalty of his troops and his generals. The men under his command were absolutely, and to their enemies, terrifyingly, united. Chinggis Khan could wage simultaneous wars on opposite sides of the known world, erode the internal cohesion of every kingdom his envoys visited, and paralyze enemy defenses with a flood of independently commanded units only because of the fearsome unity and loyalty of his forces. What army in the whole world can equal the Mongol army? In times of action, when attacking and assaulting, they are like trained wild beasts out after game, and in the days of peace and security they are like sheep, yielding milk and wool and many other useful things. In misfortune and adversity they are free from dissension and opposition… their obedience and submissiveness is such that if there be a commander of a hundred thousand between whom and the Khan there is some fault, the Khan dispatches a single horseman to punish him after the manner prescribed: if his head has been demanded, he cuts it off, and if gold be required, he takes it from him. How different it is with other kings who must speak cautiously to their own slave, bought with their own money, as soon as he has ten horses in his stable, to say nothing of when they place an army under his command and he attains wealth and power; then they cannot displace him, and more often than not he actually rises in rebellion and insurrection! Whenever these kings prepare to attack an enemy or are themselves attacked by an enemy, months and years are required to equip an army and it takes a brimful treasury to meet the expenses of salaries and allotments of land. When they draw their pay and allowances the soldiers numbers increase by hundreds and thousands, but one the day of combat their ranks are everywhere vague and uncertain, and none presents himself on the battlefield . Slide 26 of John Boyd's Patterns of Conflict presentation. This gave the Mongol forces a flexibility most of their opponents lacked. Because units adhered to similar standards, responded immediately to orders from above, and were led by men whose loyalty was never under question, Mongol khans were free to create a decentralized command structure that allowed individual tumen latitude for independent action. Like al-Baghdadi, Chinggis could unleash a flood of units that appeared "to be everywhere at once" because he knew he could leave them free to act on their own initiative and yet be absolutely sure they would be fighting for the same objectives. The story of how Chinggis Khan created an empire whose many branches were unified in effort and whose many subjects were absolutely loyal to him is one of the most fascinating in world history. Unfortunately, it is only tangentially related to the topic at hand. A full investigation of that question must be reserved for a later post. For the purposes of this discussion what matters is that the conquests of the Mongol empire, the type of warfare it waged, and the methods it used to incorporate new peoples into its domains would not have been possible except for the unshakable unity of its commanders and warriors. In this the Mongols are very much like Abu Bakr al-Baghdadi and the warriors under his command. At this point I suppose readers could accuse me of falling into the same error I found in the earlier ISIS-Mongol comparisons. Haven't all successful conquests been executed by forces united and loyal to their leaders? The short answer is yes--the vast majority of successful military campaigns have been won by unified armies commanded by leaders committed to the cause. However, the relative importance of loyalty and unity to achieving victory has not been constant across human history. In the pre-modern world internal cohesion and loyalty were often the deciding factor in many, if not the vast majority, of military campaigns. This has not been the case in the modern age. The rise of mass politics and nationalism, as well as the creation of formal, bureaucratized offices and institutions for waging war and governing territory allowed old worries over loyalty and identity to recede in importance. When Kaiser Wilhelm's empire went to war in 1914 he did not worry about whether or not Erich von Falkenhayn, Paul von Hindenburg, Erich Ludendorff, or Helmuth von Molke would defect to the French or the Russians and bring along all the men under his commands along with him. Even in conflicts like the American Civil War, where contested loyalty was the matter of dispute, political leaders expressed a surprisingly small amount of concern over the integrity and loyalty of either side's armed forces. The possibility of ships, fleets, battalions, field armies, or even individual commanders switching sides, or of a general disintegration of unified military command where each would leave to defend his home was not considered a real possibility. If disunity is what you sought, the best one could hope for in a modern war was to raise the costs the enemy must pay to continue waging it to the point where domestic opposition to the war forced them to cede for peace. In places like Syria and Iraq this is no longer the case. Commanders or entire units abandoning the field to protect their home tribe or city, or even mass defections to the other side are well within the range of possible outcomes of any operation. Unsurprisingly, the kaleidoscope of shifting alliances and identities at play in the modern Near East have a very medieval feel to them. We analyze international relations through the lens of modern history, and as a result we remain puzzled in front of current strategic realities that have no apparent historical equivalents. Instead of well-demarcated states jousting for influence and power by waging wars and engaging in diplomacy, we see fierce groups rising in ungoverned areas, revelling in violence and eschewing negotiated settlements. Modern history does not offer many analogies for such security conditions. We have to move farther back in time and study ancient history to find more appropriate parallels. The security landscape we face is, in fact, acquiring tints of ancient times, characterized by proliferation of lethality, the pursuit of violence as a social glue, and the existence of unstable frontiers. The length, the place, and the purpose of violence were different in ancient times, and we ought to start looking at current and future strategic challenges through the lens of ancient, rather than exclusively modern, history. (emphasis added) . Gary Anderson, "Abu Bakr al-Baghdadi and the Theory and Practice of Jihad," Small Wars Journal (12 August 2012). T. Greer, "Pick Your Metaphors With Care," The Scholar's Stage (31 July 2010). 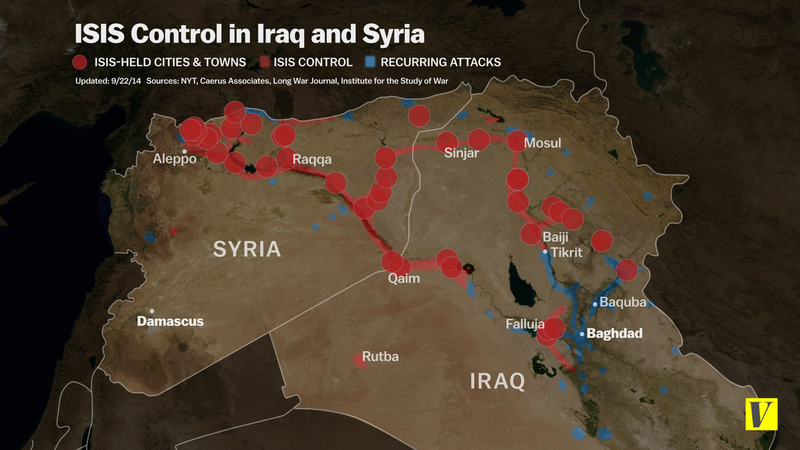 Gary Brecher, "WarNerd: Let’s put Islamic State’s menacing advance into perspective by… looking at a map," Pando Daily (2 September 2014). John Boyd, Patterns of Conflict, ed. Chuck Spinney and Chet Richards (or. ed. 1986; rev. ed. 2007). slide 26. Anderson, "Abu Bakr al-Baghdadi and the Theory and Practice of Jihad,"
 Atā Malik Juvaynī, Genghis Khan: The History of the World Conqueror, trans. John A. Boyle (Manchester: Manchester University Press, 1997), 30, 31-32. Despite the fact that almost all of the contemporary sources make similar observations, I have yet to see a discussion of this point anywhere in the historical literature. To my knowledge I am the first person to argue that the absolute loyalty of the Mongol leadership was the critical element in their campaign success for the better part of a millennium. However, as I do not read French, German, Russian, or academic Chinese, this judgment may be mistaken. This account is primarily based around Juvaynī, The History of the World Conqueror, 12-110. See also Paul Ratchnevsky, Genghis Khan: His Life and Legacy, trans. Thomas Haining (Oxford: Blackwell, 1991), 119-134. ; J.J. Saunders, The History of the Mongol Conquests (Philadelphia: University of Pennsylvania Press, 1971), 51-62. As happened to Toquchar in the Khwarazmian campaign. Secret History of the Mongols §257, Igor de, Rachewiltz, trans, The Secret History of the Mongols, Vol I (Leiden: Brill, 2006), 190-191. The best account of Muqali's campaigns in English is probably Thomas Allsen, "The rise of the Mongolian empire and Mongolian rule in north China." in Cambridge History of China: Volume 6: Alien Regimes and Border States, 710–1368 (Cambridge: Cambridge University Press,1994)” 357-362. This street went both ways. The first conflicts between the Han and Xiongnu began because Han rebels fled to the Xiongnu for sanctuary. See T. Greer, "What Edward Luttwak Does Not Know About Ancient China (Or a Short History of Han-Xiongnu Relations), pt. I" and "What Edward Luttwak Does Not Know About Ancient China (Or a Short History of Han-Xiongnu Relations), pt. II" The Scholar's Stage (4 & 6 September, 2014) and the sources referenced there for more on that fairly fascinating conflict. Denis Sinor, “The Inner Asian Warriors,” Journal of the American Oriental Society, Vol. 101, No. 2. (1981), 138-139; Timothy May, The Mongol Art of War (London: Pen and Sword Publications, 2007) 29, 42-50. Interestingly, Sinor sees this as a trait common to all Eurasian nomads, but all the sources he uses to prove this point only describe the Mongols! Even professional historians are known to fall victim to the Mongol fallacy. Jakub Grygiel, “The Return of Ancient Challenges,” Infinity Journal, Vol 4, Issue 2 (Fall 2014), 38. The last two months were far busier than I expected them to be. I apologize to the Stage's readers for the lull in posting--more than once I started post or essay during these weeks only to discover that I did not have the spare time to finish it. Now that the Yuletide is upon us my workload is much lighter and I expect to polish up and publish a few of the things that have been sitting in the queue since October. Before I get into any of that, however, I would like to make a few book recommendations. Earlier this month Anton Howes---the proprietor of the excellent economic-history blog Capitalism's Cradle and a PhD aspirant over at King's College political economy program--asked his twitter followers for book recommendations on global economic history or other related macrohistorical topics. In the thread that followed something close to 70 titles were recommended. Participants tried to avoid the obvious choices (Braudel, Pomerantz, Acemoglu, etc.) for other important books that are easily overlooked or forgotten. 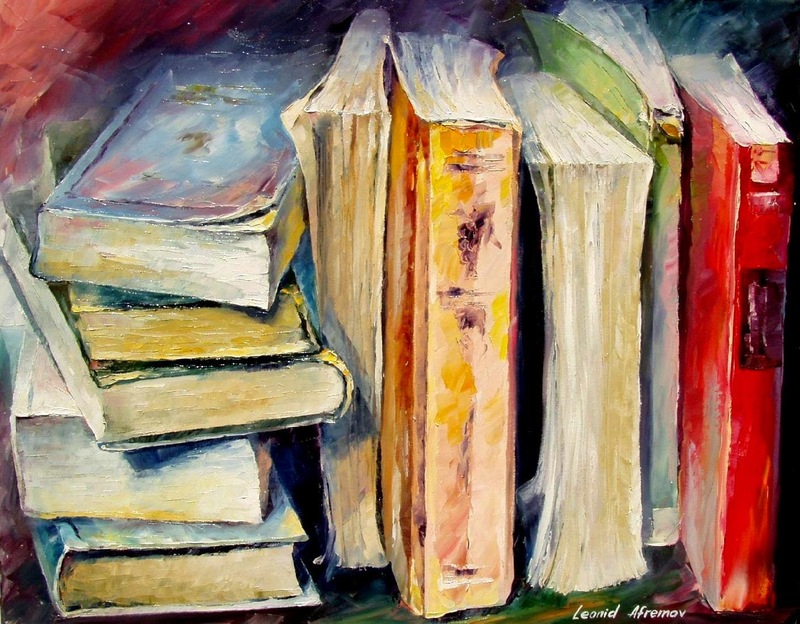 If memory serves correct I recommended six or seven titles; at least half came from our mutual blog-friend Pseudoerasmus. Robert Kelly's Lifeways of Hunter-Gatherers: The Foraging Spectrum. (If you are to read one book on hunter-gather lifestyles, living standards, or decision-making models, this should be it. Unlike many cultural anthropologists, Kelly is a committed social scientist not afraid to model human decisions or present falsifiable theories. Also, the book teems with data). Vaclav Smil's Energy in Nature and Society: General Energetics of Complex Systems and Harvesting the Biosphere: What We Have Taken From Nature. (It is hard to dig into one of Vaclav Smil's encyclopedic tomes and see the world through quite the same lens ever again. Smil has a deep appreciation for the physical stuff that civilization is made up of. He bridges the natural and social sciences with descriptions of human society and economic exchange as flows of energy and material. These books should be in your library as reference works, if nothing else). Mark Elvin's The Pattern of the Chinese Past. (This book is almost forty years old. It should be outdated, but I have not been able to find a better one-volume introduction to China's institutional history or the Song dynasty's "Medieval Economic Revolution"). Fransesca Bray's The Rice Economies: Technology and Development in Asian Societies. (Both the opening and closing chapters of this book, which discuss the domestication of rice and the "Asian development model," have been outmoded by newer research. The meat of the book--including a nuts-and-bolts description of rice agriculture in its many forms and a survey of the different agricultural models used to grow rice across East and Southeast Asia over the last two thousand years--is still very useful. Particular strengths are Song China, Tokugawa Japan, and early modern Malaysia). William McNiell's The Pursuit of Power: Technology, Armed Force, and Society since AD 1000. (I am reading this right now. As is always the case with McNiell's work, this book is a panoramic presentation of the human past--a bird's eye view of human civilization, so to speak. It is both a history of armed conflict and a history of market exchange; his thesis is that neither one of these can be separated from the other. It will make you think). Chester G. Starr's The Roman Empire, 27 BC-467 AD: A Study in Survival. (I reread this book once every few years. It is a slim work and the best introduction to the structure of Roman society and Roman imperial institutions I know of. Read it before you jump into anything on the Roman economy). Richard Nisbett's The Geography of Thought: How Asians and Westerners Think Differently... and Why. (This book is not about economics or history. However, I think it is important for people working on comparative history, economics, sociology, etc. to be familiar with the research Nisbett summarizes here. For the last three decades social physiologists have performed dozens of experiments to find out if people from different parts of the world think the same way. Turns out they do not. Travelers have always known this, of course, but now there is a large body of replicable evidence to prove the point. Some of these differences are fascinating. Whether or not these differences are related to economic or technological development in these particular regions is still an open question--but people participating in the debate should be aware of these differences. Often they are not. This field of study has really exploded over the last decade; hopefully Nisbett will publish a second edition that incorporates this newer research. Readers might also be interested in the longer review of The Geography of Thought I wrote for the Stage last year). That is it! This is the time of year people start posting book lists as Christmas gift recommendations. I suppose this list is good as any I might come up with, especially if comparative macro-history is your thing (and lets face it, if you are reading the Stage it probably is. Macro-history is what we do here). On the odd chance that macro-history is not your kind of thing, I also invite you to review the books listed in "Quantum Libraries" and the bolded items in "Every Book I Read in 2013" for some excellent books or novels on history, strategy, contemporary affairs, and other topics discussed here. Are there are any books you recommend for the holidays?